We, in North Pres, are very fortunate to be one of 6 schools in Cork which has an Early Start unit. Early Start is a pre-school initiative which caters for children aged between 3 years 2 months and 4 years 7 months. It is a bright, spacious, well equipped and happy environment where children enjoy their first experience of school. Learning takes place through play activities which include equipment like construction blocks, jigsaws, beads, sand, water, “home corner”, art and crafts, library, music and movement, physical activities and much more! Parents are encouraged to be actively involved both inside and outside the unit through courses and trips. 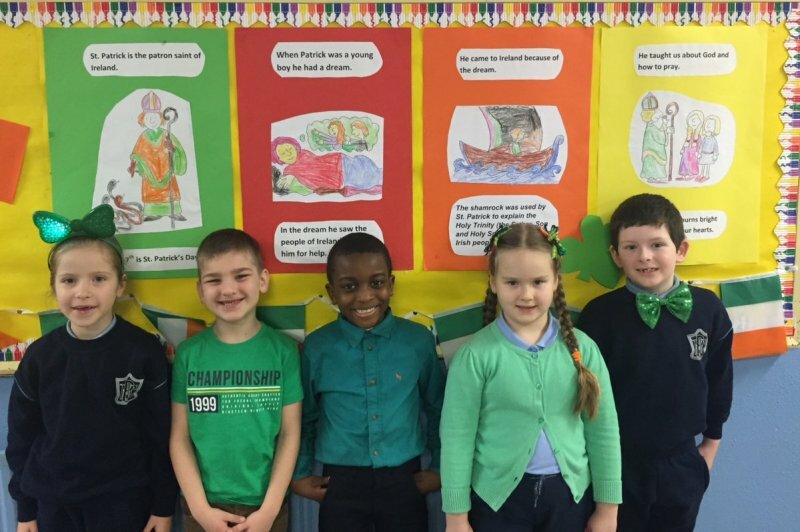 Early Start is a great advantage to help children make the transition from home to Junior Infants. The children in Early Start have been learning about food recently. Last week they made their own vegetable soup. It tasted delicious. 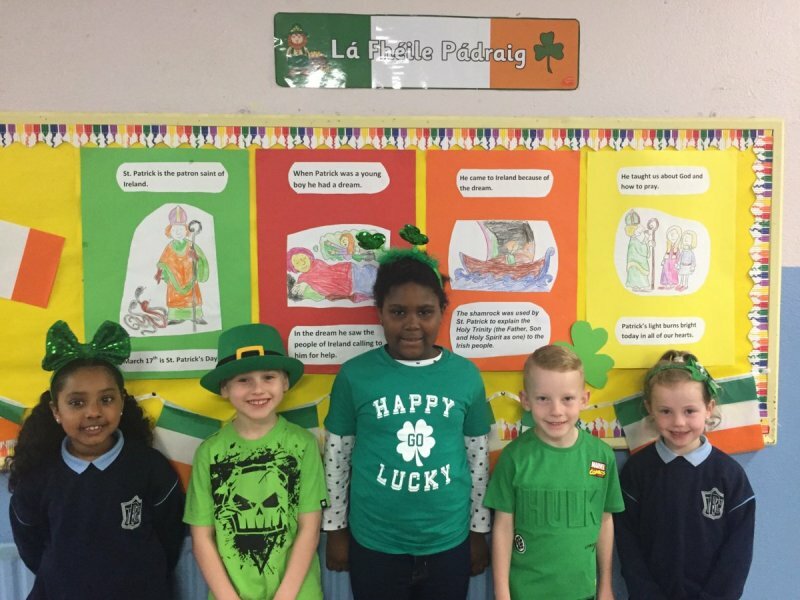 The whole school enjoyed a Lá Glas to celebrate St. Patrick's day. 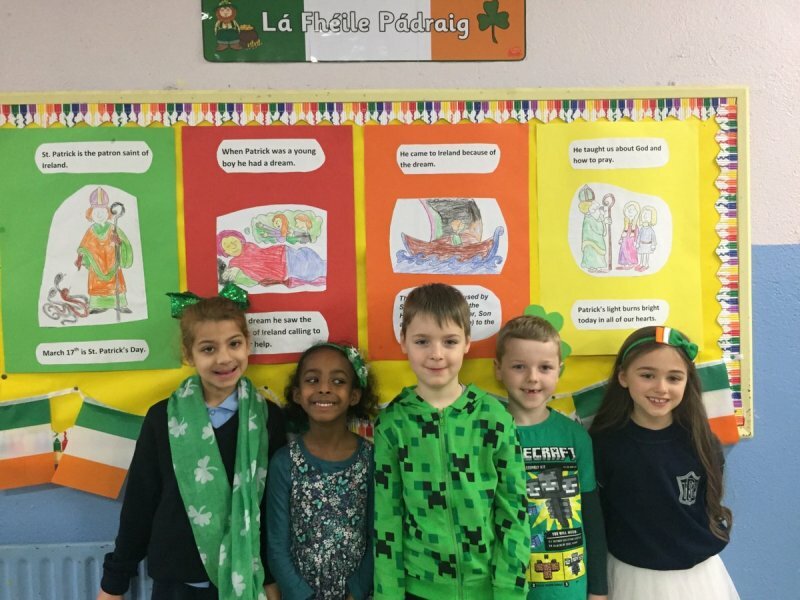 The children dressed up with a splash of green before enjoying Irish dancing during the day. 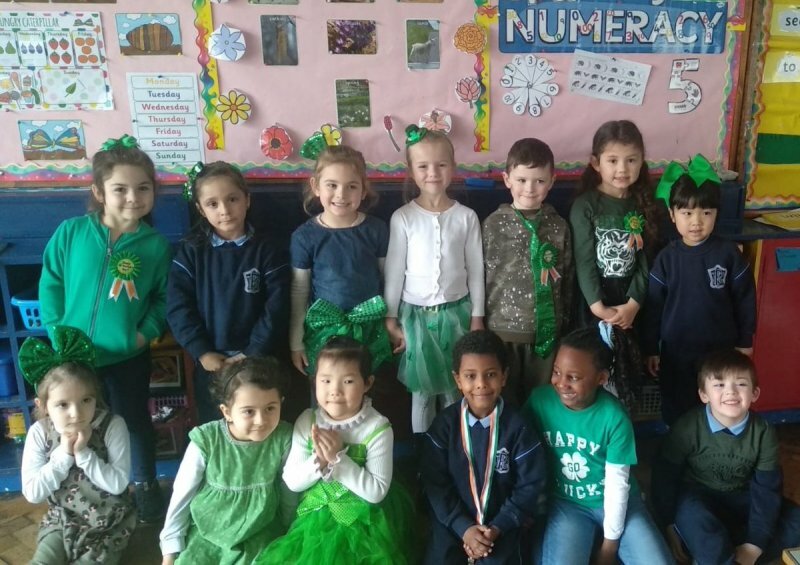 North Pres celebrated World Book Day 2019 in style. Many of our children and teachers dressed up as characters from their favourite books. Thirty senior infant and first class parents participated in C.A.P.E.R. (Children and Parents Enjoying Reading) in the morning. Afterwards the first and fourth classes walked to Waterstones to buy a book using their World Book Day vouchers. In the afternoon the older children visited the classes of the younger children and they all sat down and read together. The school football team took part in the Sciath na Scol football final recently against the girls from Padre Pio school. The whole school got involved in the build up with some of the older classes busy making plaits to show their support for the team. On the day the whole school was out to give the team a guard of honour on their way to the match. 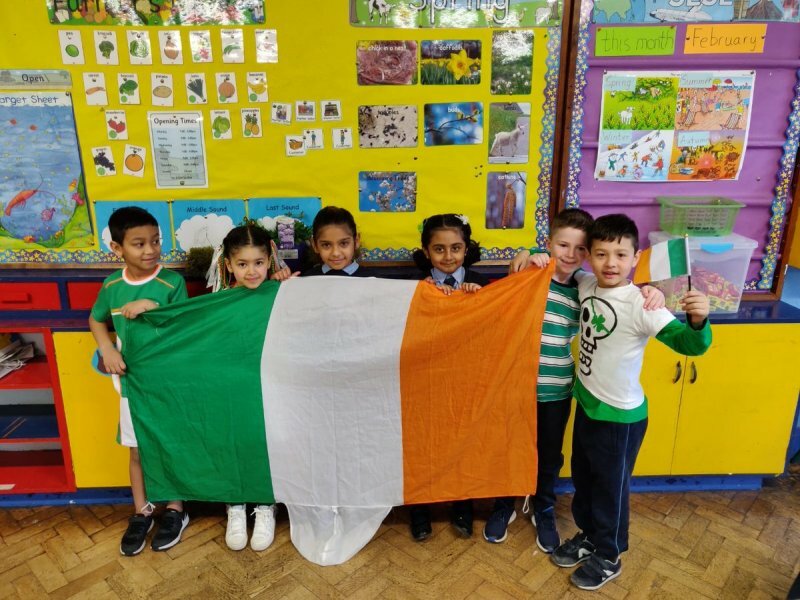 The girls from 2nd class up went to the match to support the team and cheer them along. The team played their hearts out and left everything out on the pitch but unfortunately it wasn't their day with Padre Pio winning the match. The whole school are incredibly proud of the team and the effort that they put in on the day and with all the training coming up to the match. Ms. Coleman and Ms. Conway have been very busy in the school garden recently. They have had lots of help from all of the classes. Some of the older girls helped painting tyres. We now have some very colourful minnions full of flowers welcoming us into our school everyday as well as some bright colourful flowerbeds in the garden. There is also a new insect hotel for any insects who feel like having a little holiday in North Pres. The younger class helped with all the planting that was done. All the children are looking forward to see what will grow over the next few months. Santa and Mrs. Claus met all the children in Early Start today. The children sang them some wonderful songs before going up and having a chat with Santa. Santa was so thoughtful and brought a special gift for each girl and boy. The children in Early Start had great fun recently when they enjoyed messy play. They got to play with water, sand, flour and shredded paper. They had great fun lying on the ground and making shapes when it was covered in paper. North Pres held their open night for prospective pupils and their parents recently. The pupils from 3rd to 6th classes acted as guides for the evening and demonstrating everything our school has to offer. The school choir performed, while pupils from 5th and 6th class provided refreshments. The class rooms were set up to show all the resources that the school has including those for aistear, numeracy lift off, p.e and science. 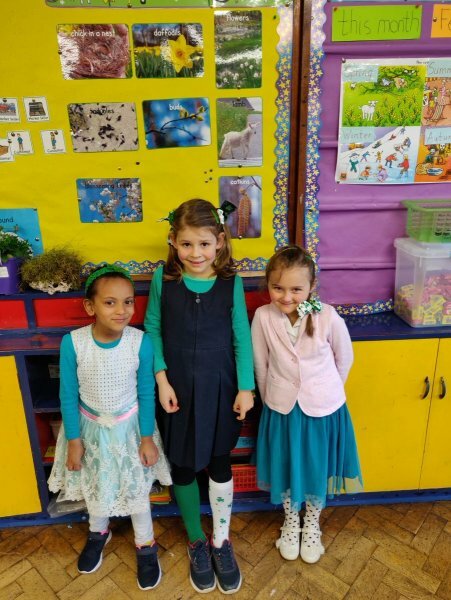 The whole school enjoyed dress up day last Friday. 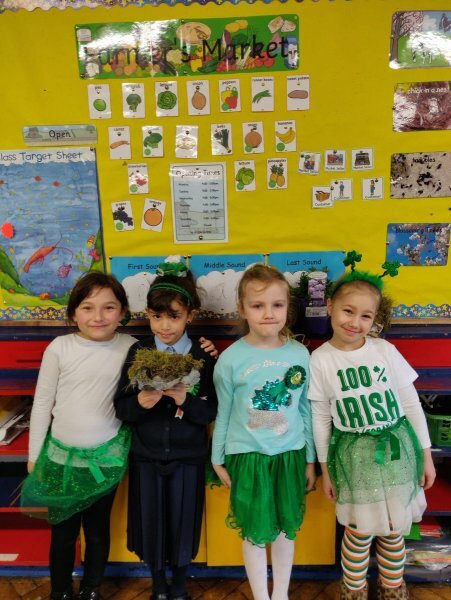 The children wore their costumes into school and some of the teachers joined in the fun as well dressing up. Junior and Senior infants went trick or treating to the older classes, while 4th, 5th and 6th classes entertained the whole school by showing us the Thriller dance. 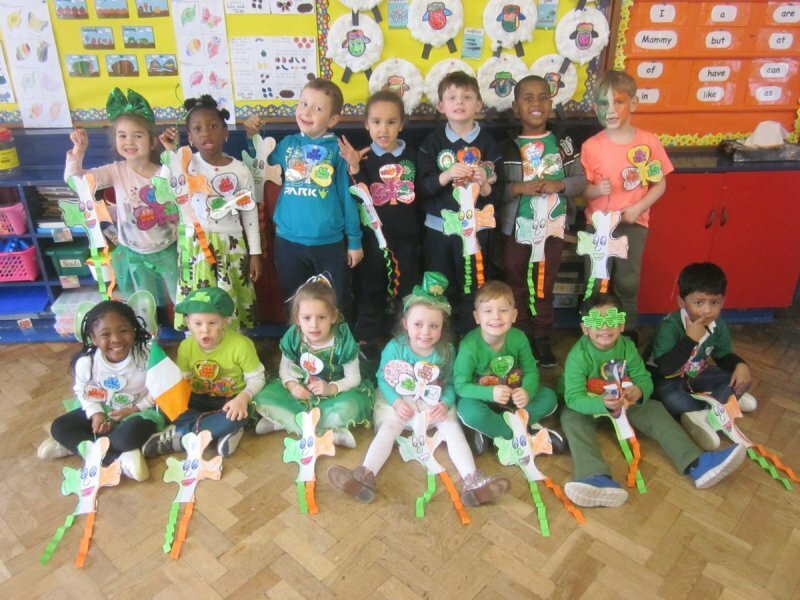 Early Start loved hearing the story "Room on the Broom" and 3rd class did some Halloween art. Today the school had an assembly to launch Friendship Week. All this week we are going to be kind to everyone in the school. The older classes will be reading and playing with the younger classes. There will be a competition for all classes where the children have to design a poster based on the theme of friendship. We will also be helping Ms Manley complete the display outside the seomra gorm by writing all the kind things that we did this week. 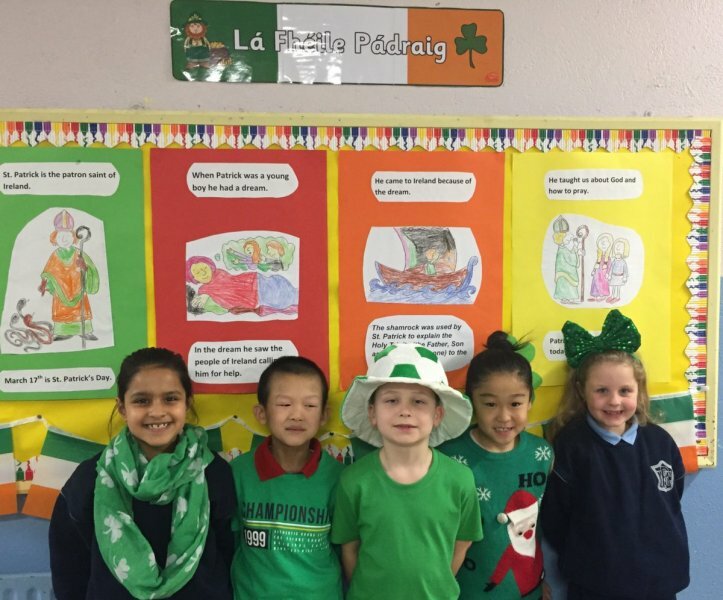 During the assembly today the whole school sang "You are my Brother" and Ms. O Brien's 4th and 5th class sang a lovely version of Ed Sheeran's song in Irish. Copyright © 2019 North Presentation Primary School. All Rights Reserved.